Many of your members no longer carry cash or checkbooks, so they’re asking for other ways to give. It’s important that you listen because finding the right combination of giving options can significantly increase your total donation plate. Electronic options like Online, Credit/Debit, Kiosk and Text -- along with the traditional passing of the plate -- all have their place in helping churchgoers express their generosity. 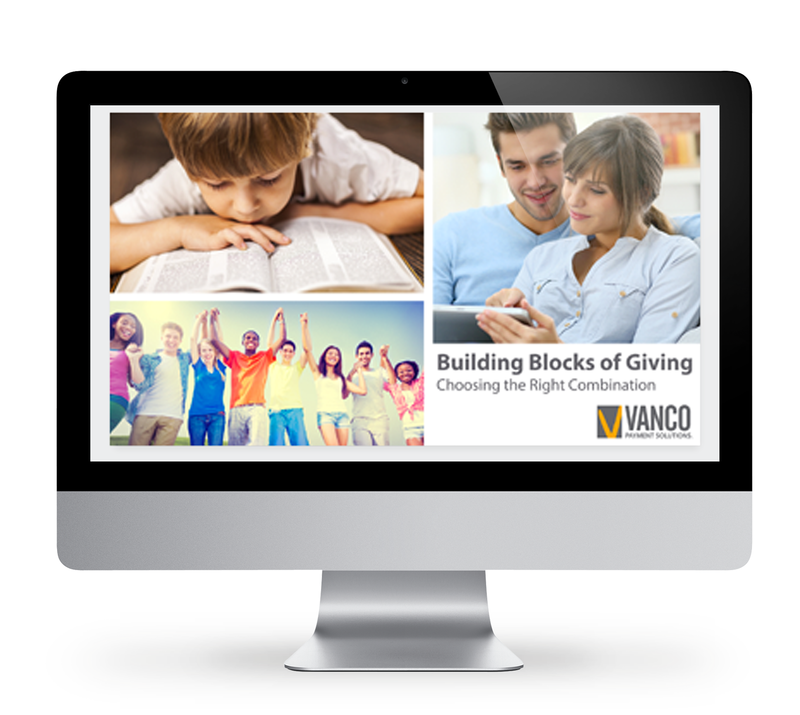 Our video, Building Blocks of Giving, can help you assess your current giving program and guide you to the best combination of options for your needs. Complete the form to watch or download our video today!